Implantable cardioverter defibrillator (ICD). EBSCO DynaMed Plus website. 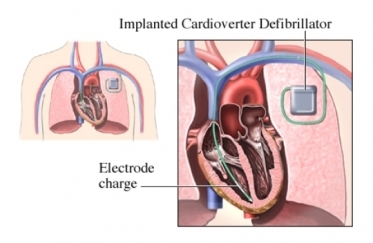 Available at: http://www.dynamed.com/topics/dmp~AN~T116558/Implantable-cardioverter-defibrillator-ICD . Updated June 29, 2018. Accessed July 3, 2018. Pacemakers. EBSCO DynaMed Plus website. Available at: http://www.dynamed.com/topics/dmp~AN~T906162/Pacemakers . Updated January 11, 2018. Accessed July 3, 2018.